Home CRRRITIC Books Loving David Culp’s Layered Garden. Scheming to see the garden. Loving David Culp’s Layered Garden. Scheming to see the garden. I’d never heard of perennials expert David Culp until his long-awaited book finally came out and I started seeing raves everywhere. Then I learned that garden centers up and down the East Coast have long been fans of David through his work for Sunny Border Nurseries, a respected perennials supplier. A story I wrote for one garden center reveals their perennials buyer to be a particularly ardent admirer of not just David’s plant expertise but of the garden outside Philadelphia he created with Michael Alderfer, having seen it in person. 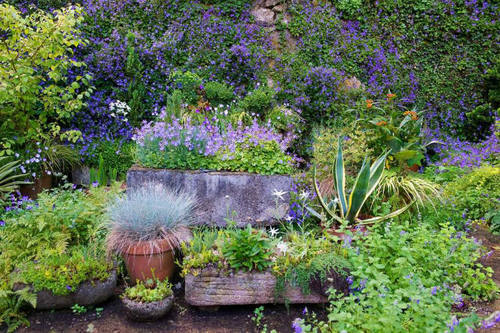 And now we know what to call the kind of stunning, plant-packed garden that David created – Layered. Layered gardens are beautiful at all levels, from groundcovers to trees, and during all seasons. But that term hardly conveys the utter gorgeousness of the book about his garden, packed with photographs by the fabulous garden photographer Rob Cardillo. I swooned over The Layered Garden when someone loaned me a copy and knew I HAD to have one of my own. 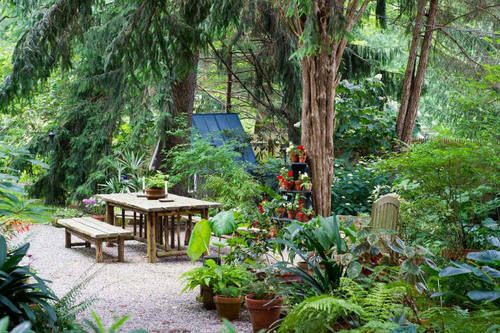 That’s because David Culp is the kind of gardener I aspire to be – expert in his plant choices and growing techniques and inspired in his design visions. His book teaches and inspires us to choose the correct plants by understanding how they grow and change throughout the seasons. It teaches us how to design and maintain a complex, layered garden. Examples shown and described include woodland gardens, perennial borders, kitchen gardens, shrubbery, and a walled garden. The book concludes with a collection of signature plants for all four seasons. 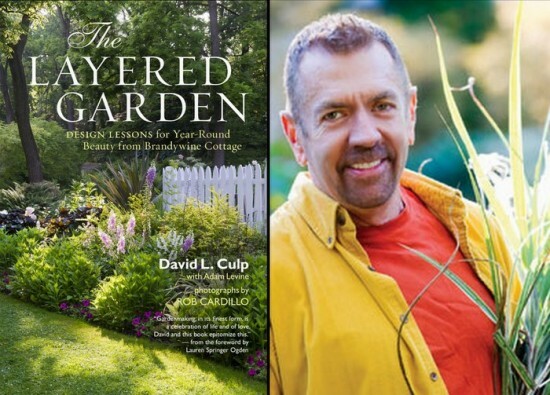 More than simply a how-to book, The Layered Garden includes David’s personal thoughts and experiences about creating his garden, so it’s my favorite kind of garden book. I pretty much devoured it in one sitting. So I love the book but more than that, I love this type of complex, interesting, lush garden and now wish I had more space in my new garden for more-more-more. But that’s a lament for another day. Meanwhile, I’m on a tear to see David’s garden in person, which will happen on April 27. (It’s open to all that day, so y’all come!) It’s just two hours from me, so a do-able day trip AND the plants that work for him will work for me. One hopes. The rest of you poor souls will have to content yourselves with photos of his glorious creation, which thankfully are fabulous. Click here for lots more, all by Rob Cardillo. Previous articleZombies ate my garden—ch-ching! David’s book is on my holiday wish list!!! David is a friend, a brilliant gardener, a cataclysmic breeder, and a wonderful human. Rob Cardillo blows my mind as a photographer. The conjunction of these two people is a joy, a MUST HAVE. Beaten only by the REALITY of this garden. Bucket list for sure. Wow great inspiring read – I want to get the book now. thanks for sharing it and wish I lived closer so I could visit it too. How can I get more information about this open garden day? My garden-center contacts gave me that date, but I notice on David’s website he’ll be at Longwood Gardens on April 27. So I’ll be double-checking that info as the date draws near. I assume you could contact David through his website to ask. Thanks for sharing this interesting review of someone that is new to me. I definitely want to check his book out. Great photos too! I haven’t seen David’s book yet but it is quite the endorsement. I will go review the book this coming weekend. Layered gardens have been around for thousands of years. I would assume that David knows his plants and is sensitive to soil, water and environmental conditions. My main comment is, be careful what you wish for. Too often people spend money and time on plants and planting only to discover the overwhelming amount of work to manage and maintain those plants in a layered garden. Before you jump into the pond, check the depth, temperature and if there is anything that could take a bite out of you. The goal is to spend your time and money not waste it. Good luck to all with your gardening adventures.